When I leave out the back door of the first floor of the Federal Building, I'm always fascinated to see all the huge screens and fancy computers down the hall of the National Weather Service, part of the National Oceanic & Atmospheric Administration (NOAA - pronounced "Noah") of the U.S. Department of Commerce. Sometimes we all could use an ark or a dove (or maybe that's a seagull - but they can be good too). Passing all that fancy electronic equipment, I don't feel so bad about the antiquated computer systems we have in our office. We make do the best we can with the budgets we get. 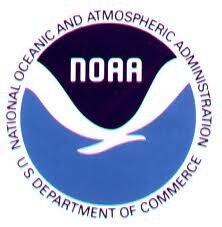 It's really great that NOAA has better resources authorized by Congress under the Constitution for our general welfare - not to mention domestic tranquility which we hope will soon return to the East Coast after Hurricane Sandy and the clash of storms. There are a lot of other federal agencies that help with these sort of things FEMA, the Coast Guard, the National Guard, even the resources of the Department of the Interior, along with many others. And there are important private institutions that help - all the local churches and community groups along with the national organization like the Red Cross that help coordinate relief with the federal government. And don't forget all the individual efforts united in community that make all this work. Acts of God tend to bless us with the reminder that we need to unite without selfish profit or economic motivation to address our challenges solve our problems by and for the people. God bless the people of the East Coast! Let's do what we can to help! Yes, being able to predict major weather events several days out means many fewer people caught off guard by storms like this. I have loved ones with no power or cell service in NJ, and I am glad they were all told to stay at home, so at least they are together, and not caught with some at work. Thanks for the reminder that government really is necessary for organizing help during wide spread disasters.